When I first began teaching my principal handed me a stuffed manilla folder with the curriculum I needed to cover in a school year. I was so overwhelmed at first and didn't know how to make heads or tails of it. I was introduced to curriculum mapping at a professional development and fell in love. I need to visually see things planned out. My mind is able to process better when the page is less cluttered and things are spread out. It definitely takes some time to map out the curriculum but the benefits far outweigh the hassle! I begin by making a rough outline of what I would like to accomplish each month. Then I take each month and break it down week by week. I try to make a separate sheet with the supplemental materials I will use for each unit. I obviously tweak these each year, but it helps to have resources at hand. When I finish I print it out and bind it together. It's a handy reference tool and it keeps me on track! Do you use curriculum mapping? 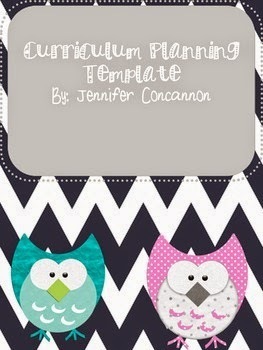 Click on the picture below to be taken to my TPT store to download!